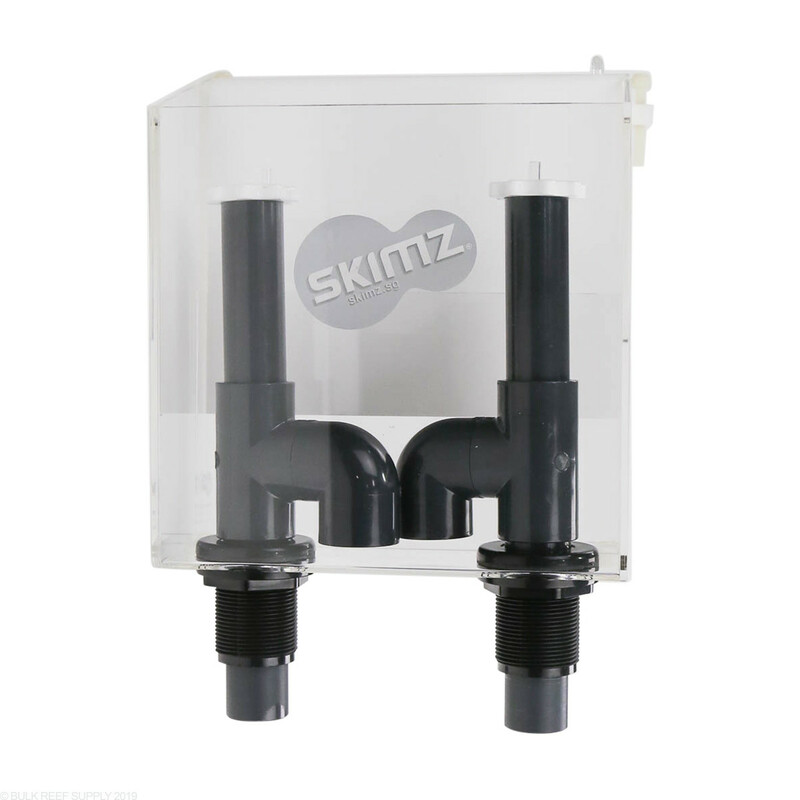 Skimz External Overflow Boxes are a great addition to tanks that do not currently have a drain system. 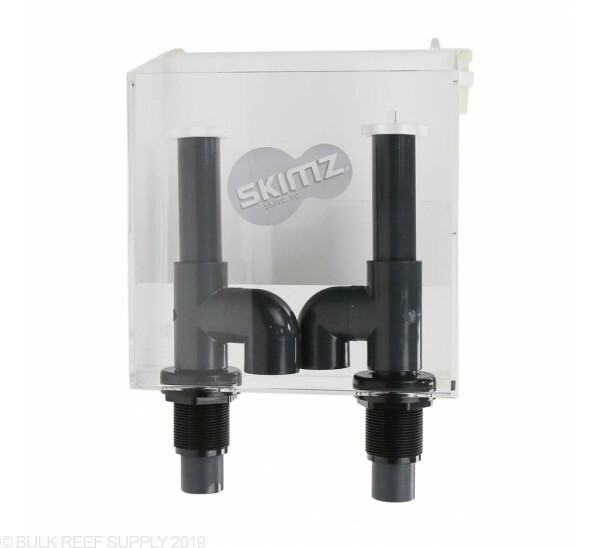 Adding a sump to a tank is super easy with the Skimz OM5000, just place the hang on back overflow box onto the edge of your aquarium, and using 1 1/4" soft vinyl tubing you can plumb the box to a sump. 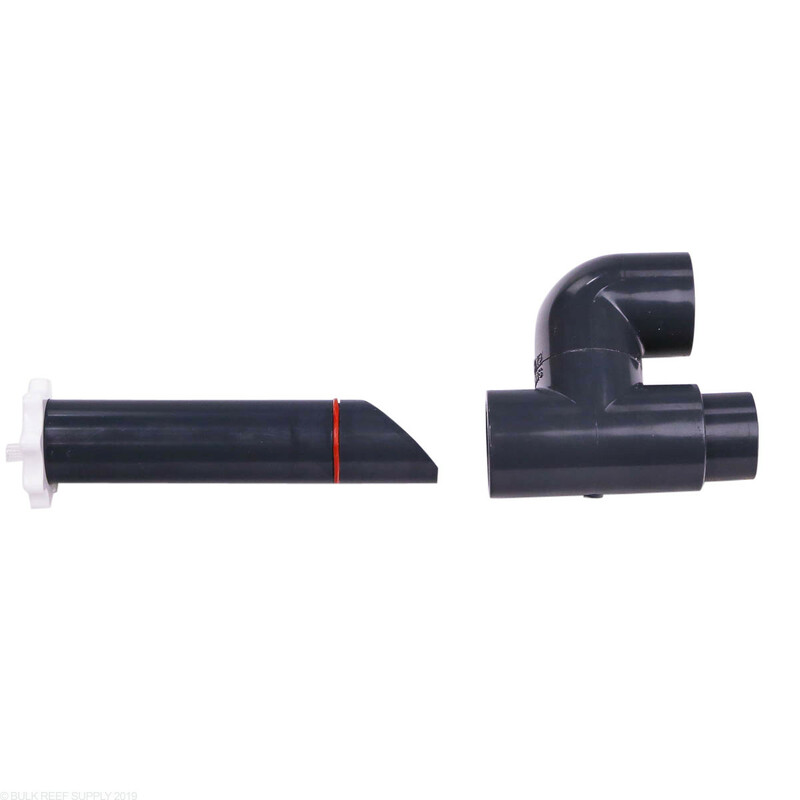 The durso style valve lets you fine tune the overflows drain rate, giving it the ability to be completely silent. 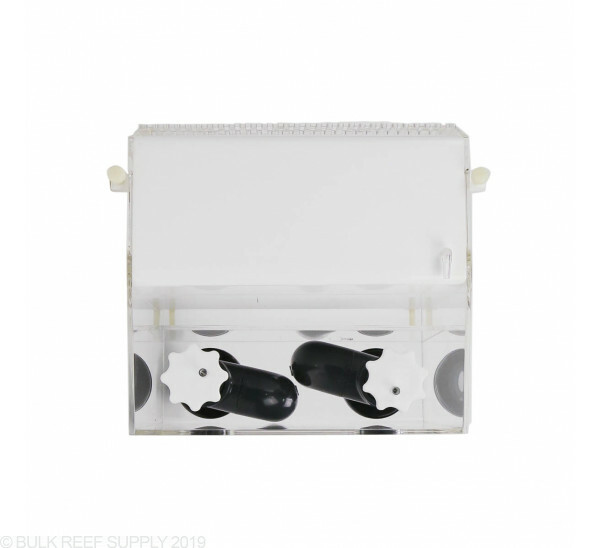 External overflow boxes give you the ability to add a sump or added filtration to your aquarium without the complication of drilling your existing aquarium. On many occasions, we have set up tanks and then a few months after deciding to add a sump. With an established tank, drilling, and plumbing the aquarium isn't an option. 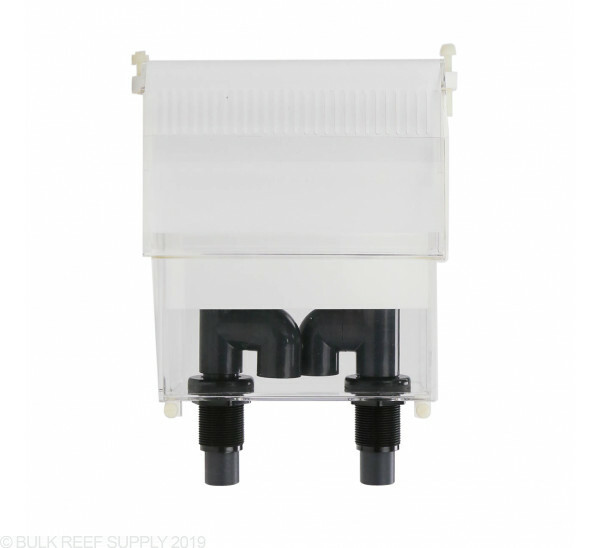 All HOB overflow boxes work off a siphon principal, pulling water out of your aquarium, over the edge and the directed into a bulkhead that is included with the OM5000. 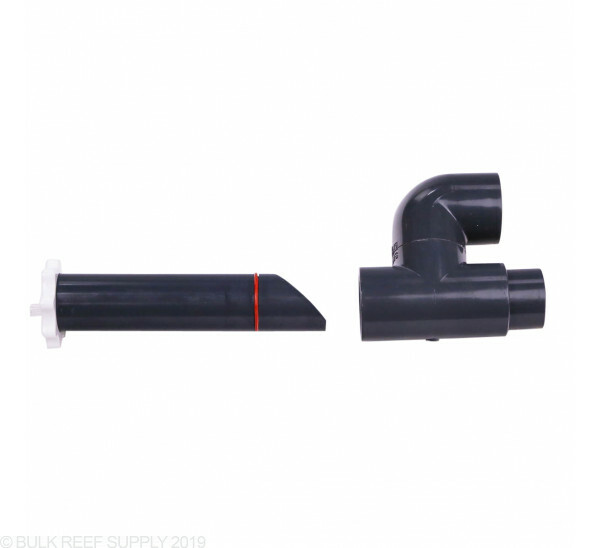 Noise is a large concern for all types of overflows and the OM5000 uses dual durso style wedge pipe that allows you to tune the drain flow by just turning the wedge pipe until the noise stops. 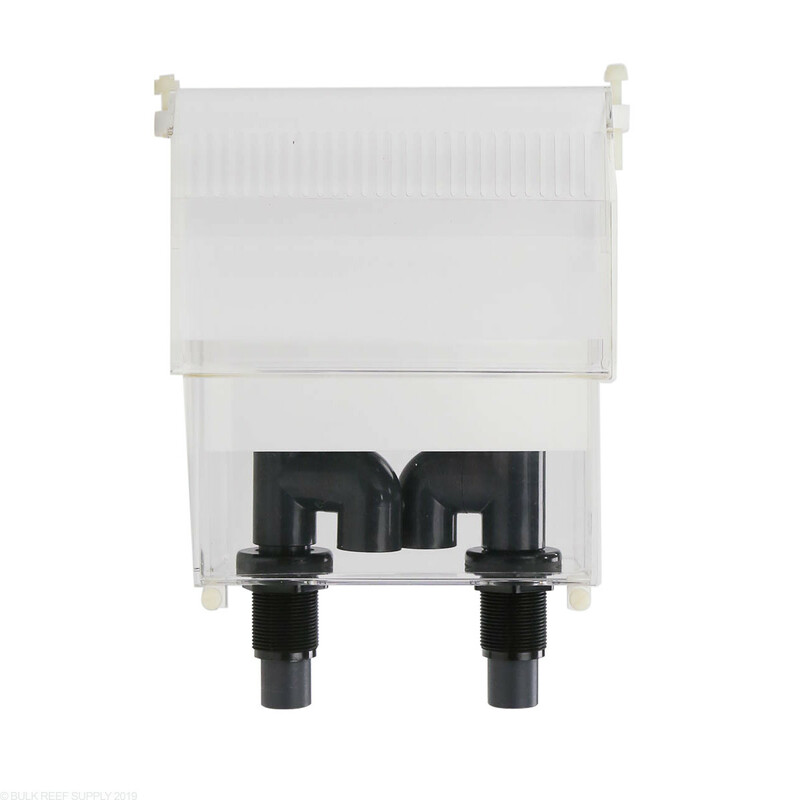 We do not recommend using DC return pumps with overflow boxes since they have variable flow, and once the overflow box is tuned the return pumps flow rate should not be increased. Note - We highly recommend using an Aqua Lifter pump to prime the overflow box continuously. 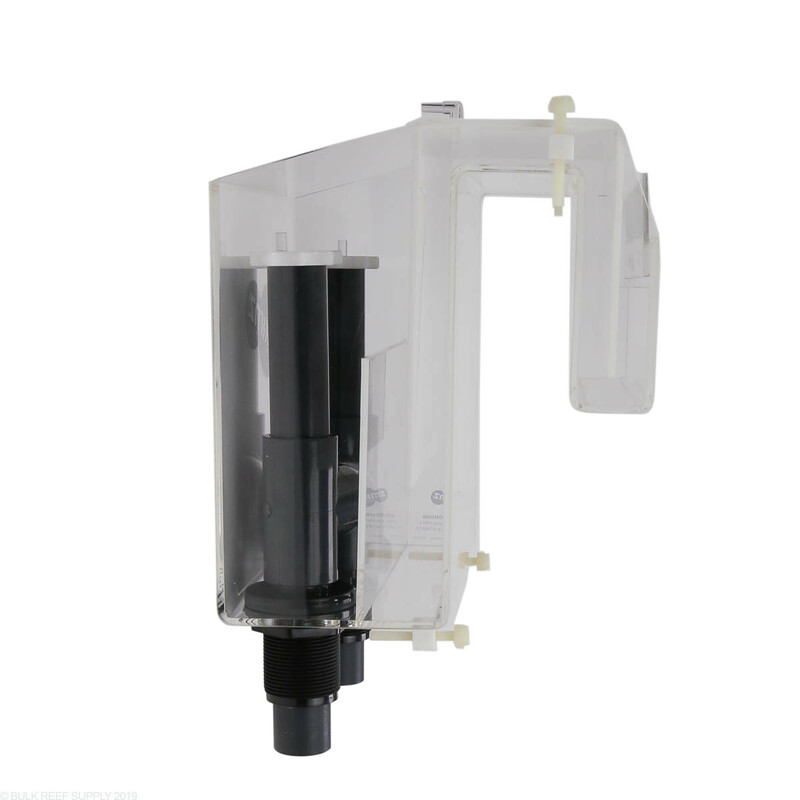 The Aqua Lifter pumps are a cheap insurance policy against siphon restriction through the overflow box. Max Tank Thickness - 2"
Minimum Clearance Required Behind Aquarium - 6"
This overflow is constructed of what seams to be high quality materials. The issue I ran into, and I am not alone, is that the intake portion of the box does not sit low enough in the tank due to the rim. This product would probably work well for a rimless tank, but is not functional on my standard rimmed 65 without major modifications with a Dremel tool. The interior box that sits in the aquarium sites too high, even when adjusted to its lowest possible setting. The weir cannot be used because it will further elevate the water level. If you have a tank with a trim ring around the tank don't buy this. It may work OK for rimless tanks however. There is nothing you can do to fix it. 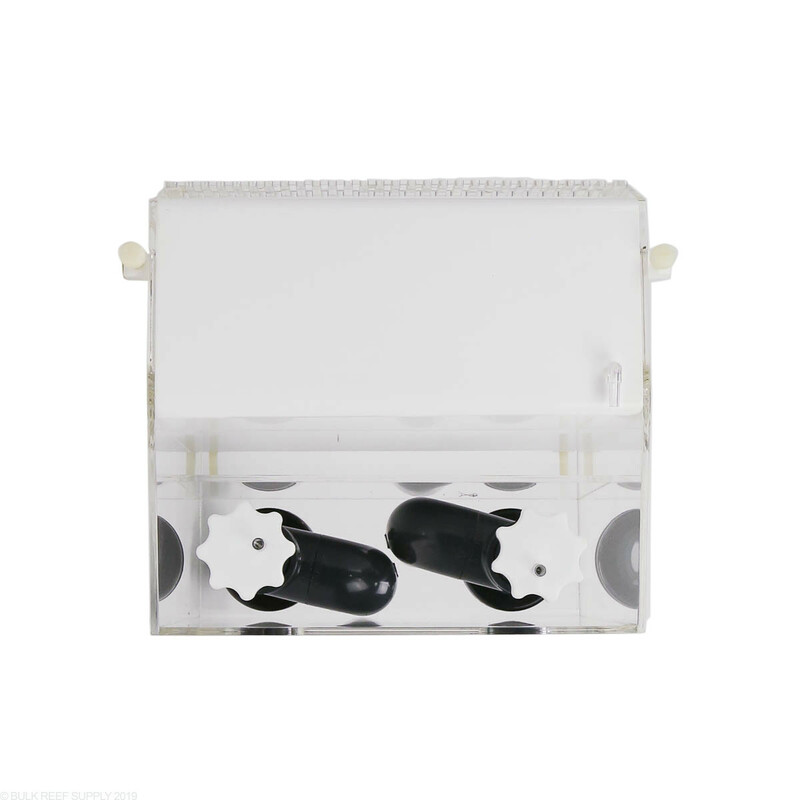 The box needs redesigned with a lower internal cavity. Skimms has not responded to my pleas. 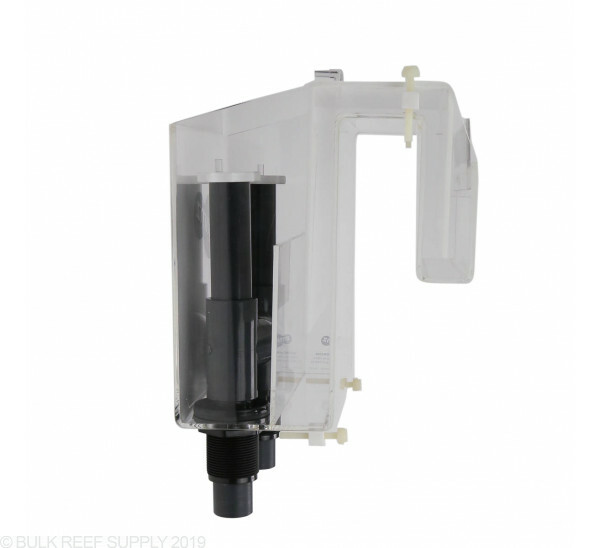 Where do you attach the aqua lifter pump? On the top of the unit there will be an air line fitting to attach it to. It will then pull water through to maintain the siphon.